... but I did. 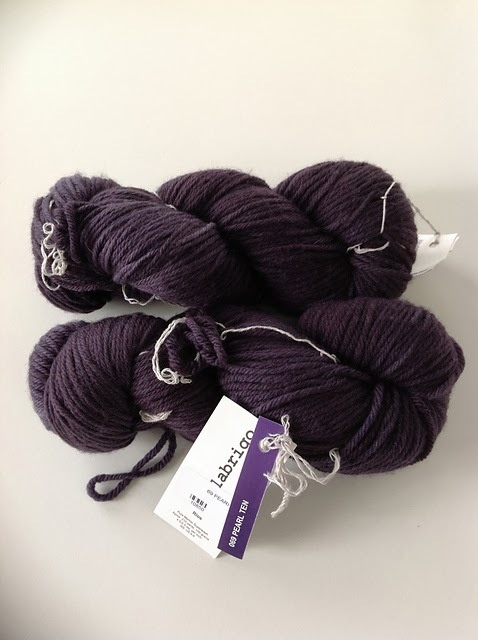 My LYS had an impromptu sale the weekend before last, right on the heels of Brooklyn Tweed offering a rare discount code on their yarns and patterns, and my will-power completely disintegrated. I splurged and bought an armful of BT patterns ~ Oshima, Reverb, Hudson, and the Channel cardigan. Heaven knows when I think I'll knit all these gorgeous sweaters but just having them in my library makes me very, very happy. So, when Knitting Nation announced a brief but generous sale on all their yarns, I just had to stop in and see if I could buy a sweater's worth for one of my new BT patterns. I've only knit with Malabrigo Rios once before but remember absolutely loving it. PearlTen is a gorgeous gray-purple colorway which will be beautiful knit up in Oshima ... or Hudson ... or Reverb ... I'll let this marinate for a while and decide later. Rios is on my list of yarns I want to try. And won't it be beautiful as a BT design?! These sweaters are all gorgeous. Thanks, Michelle. You won't be disappointed with Rios ~ it's squishy and soft and the colorways are sooo pretty. Mmmmmmmalabrigo! Yummy! You did the right thing ;-) It's a good thing I have a bit of willpower and limited time to knit, otherwise I'd own ALL the BT patterns! They're so scrumptious, aren't they? Enjoy this "planning" stage, excitement before the fun of casting on begins! Lovely Rios! Darn! I missed the BT discount. Oh well, I did get a few patterns from Carrie Bostick Hoge and Amy Christoffers when they had discounts recently. It's so fun to dream, isn't it? I'm glad you splurged on some new yarn too. It looks so pretty, and I can't wait to see which pattern you choose to make with it. Ooh! Pls knit Oshima first. Love that. That color is seriously gorgeous! So dark and mysterious. Your choice of project for it can't go wrong since they are all lovely. ohhh I love a good sale too!! I love Rios as well, and BT patterns! Sounds like you did well!